It’s almost League time – Already! It seems like hardly any time since the league ended in 2018, but the 2019 competition is almost upon us. Since the last article late in February the Colts have completed their Winter League campaign and played a couple of friendlies in Livingston, while the Broncos have had a run out with some friendly games in Dunfermline. In the Winter League, on the 3rd of March, the Colts managed only the one win and three losses. 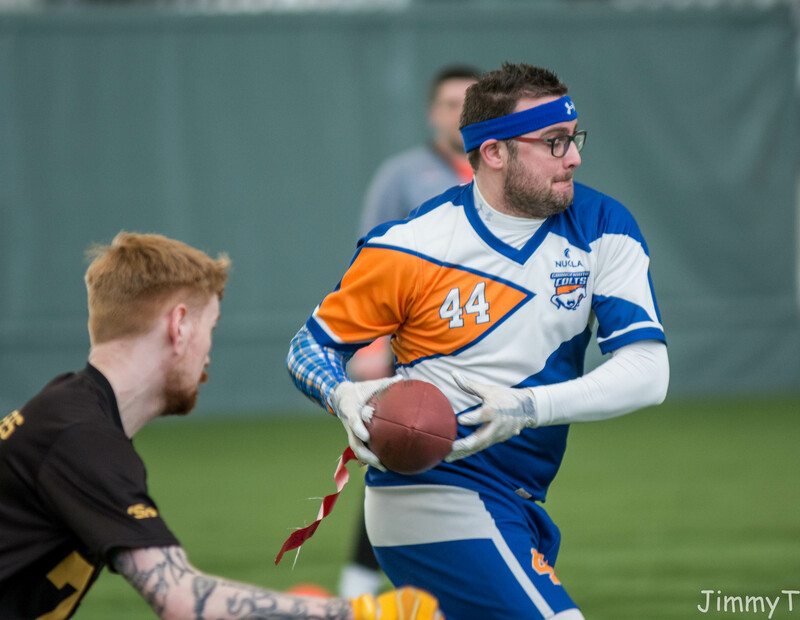 The win came against the Chargers, but the games against the Silvercats and Killer Bees were by just the one score, and the loss to Carnegie was by two scores. By the end of the day, the Colts had locked themselves into fourth place. Two weeks later, the Colts traveled to Livingston for a pair of Friendly matches. These matches were important since the previous 21 games had all been with a limited running game clock. Practice was needed with the regular timings used in the BAFA games. Two wins on the day against the Chargers and Raptors, teams they will face in the Division 1 league this year, will have boosted their confidence. Into the final fixture of the winter League and the Colts continued their unbeaten run against the Chargers. Just. Another tie! A win against Carnegie really put the cat amongst the pigeons in the race for the top spot. 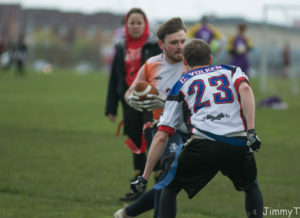 A narrow loss to the Killer Bees, then a win against the competition winning Silvercats rounded off the day. While fourth spot may look like a disappointing result, the Club Coaches restated that their aim was to give as many people as possible game time, especially some of the new players. This was a great competition to be part of and the Club have committed to it if it is run again next year. In the final action of the pre-season, the Broncos were in Dunfermline for some warm up games. For the third time this year, the Broncos played the Edinburgh Outlaws in the first game of the day. In a match-up that has become ever tighter, it was good to get a comfortable win. The next game against the Killer Bees was much less comfortable. In the end the Broncos ground out a two score win. They then played their old adversaries. The Broncos have not beaten the Glasgow Hornets since 2016. With a two score lead, it looked like they may just manage the win. The Hornets came back to take the lead though, but the Broncos had two shots at the end-zone for the lead as time wound down, but a desparate lunge from the Hornets defender on fourth down meant Glasgow took the win. Now it is time to focus on the league. The Broncos will be travelling to Greenock Wanderers Rugby Club on Saturday 13th April for their first BAFA Premier fixture, where they will play the Outlaws, Hornets and Caregie. The action kicks off at 11:00 with the Broncos games scheduled for 12:00, 13:00 and 14:00. 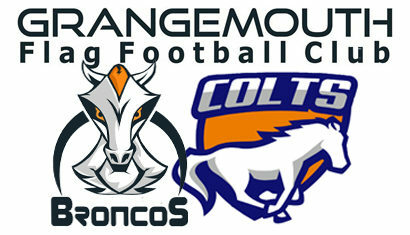 On Sunday 14th, The Colts will be travelling to Crownpoint Sports Centre in Glasgow for their first BAFA Div 1 game day. They will be playing in the first game of the day at 10:30 against the Renfrew Raptors, with their second game against the Midlothian Sabers at 13:00. Entry to both events is free and it would be great to see some supporters on the sideline cheering on our teams.